When and where did you teach abroad? Did you go with a program? I taught English in Daejeon, South Korea for a year. I applied to a competitive, government-sponsored program called EPIK (English Program in Korea) and was placed at a public school. I taught a total of 600 elementary school students from grades three through six. For a few months during my time in Korea, I also applied to teach English to 20 high school students as part of a 40-hour after school program. What made you want to teach English abroad? I had a burning desire to travel, meet people from all over the world, and immerse myself in an entirely new culture while making a positive impact. My purpose was not only to help my students improve on their English language comprehension and speaking skills, but to help them build the confidence, character, and habits required to become successful in their future endeavors. I strived to create a fun learning environment for my students, all while sharing cross-cultural experiences and growing in the process. How did you select your program/country and/or find an employer abroad? At that moment in life, I wanted to work overseas more than anything. After research, informational interviews, and workshops (MyWorldAbroad at the University of Waterloo), teaching English seemed to be the perfect fit for me. It would be challenging, rewarding, and a great stepping stone towards venturing out into the world, while gaining work and life skills. It all started when I interviewed a friend who inspired me with the idea of getting paid to travel. This, in turn, led to her connecting me with others who had also taught abroad. 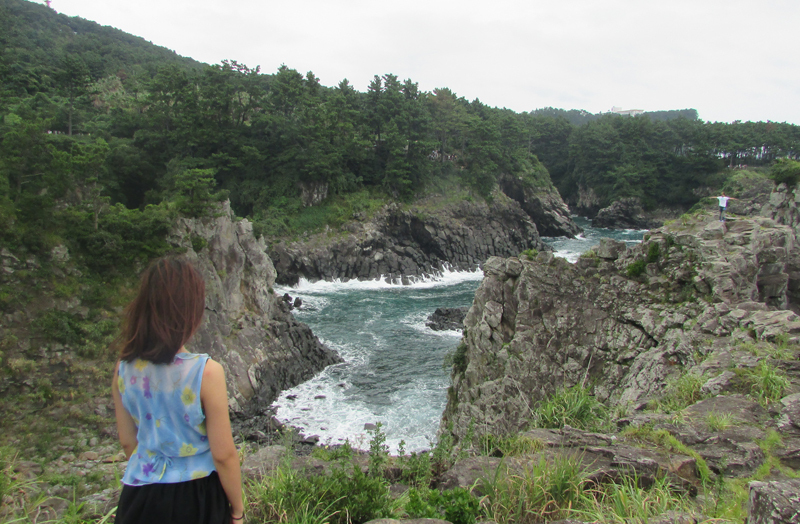 Eventually, I honed in on South Korea, which appeared to be a safe country for first-time teachers and travelers. I applied with the EPIK program because I wanted the support and training they provided, as well as to have a stable position at a public school. It also had great hours and benefits such as provided accommodation and reimbursed airfare. When it comes down to deciding which country and program to work in, you have to do a ton of research and conduct informational interviews to know what’s best for you, while taking into consideration various factors such as the cultural lifestyle, cost-of-living, qualifications, hours and vacation time. The application process took about six months, but it was worth it for the experience I ended up having. My program required me to take the TESOL (Teaching English as a Second Language) course, with a minimum of 100 hours, and that took a few months to complete. My application also required me to answer a few questions in essay format, as well as attach to a sample lesson plan. I worked with the recruiting company, Korvia, who helped me to organize everything that I needed and to meet all my deadlines. After waiting several months, I was offered a brief interview with EPIK and was asked several standard questions about myself, my intentions and my experience, as well as being challenged with a few situational questions. About a week later, I learned that I had been accepted into the program, knowing only in which city I would be placed (not which school). Signing the contract, submitting medical documents, and applying for my Visa were the next practical steps. The process took a long time because I knew I wanted to work in a public school setting. In addition, my chosen program only accepts applications at a certain time of year. So, it took a lot of self-discipline to keep myself organized. The recruitment team who helped me stay on top of things also helped me to be successful. What was the biggest surprise about your teaching experience abroad? 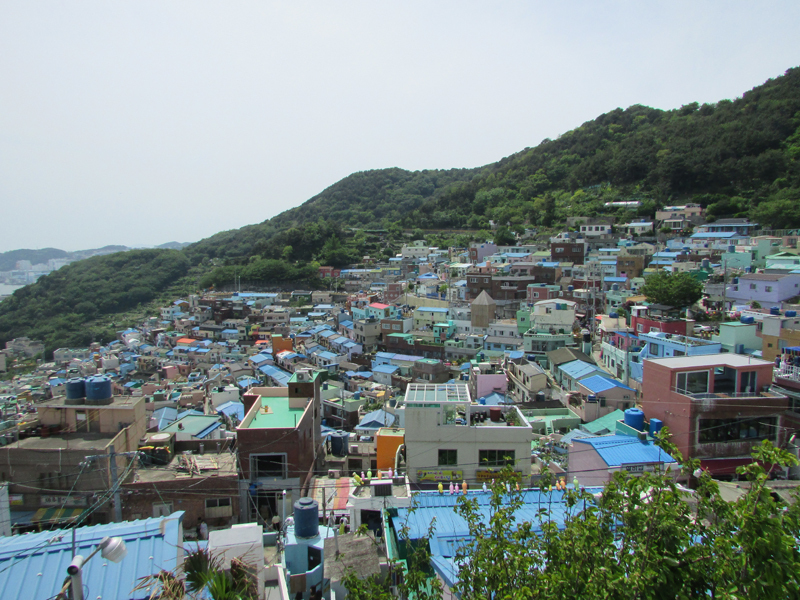 The biggest surprise about my teaching experience abroad was learning about the educational system in Korea. Korea places great emphasis on education, and many of my students attended hagwons (private academies) after their day school or English tutoring, along with other extra-curricular activities. There were some strict rules and teaching methods that I didn’t particularly agree with, so it was a different and very eye-opening experience. I was also surprised by how close the relationships are between teachers and students. The students’ admiration and respect for their teachers is truly fascinating. While abroad, I realized my passion for teaching and developed a greater understanding and appreciation for every teacher around the world. Did you participate in extra-curricular or social activities while abroad? If so, how did they differ from social activities in your home culture? I joined a writers' group in my city, which was organized by expats. They ran weekly meetings and anyone who loved to write or wanted to meet people could join. We published our first anthology – a collection of various short stories and poetries by writers of various backgrounds. It was titled 'Fleeting', and was based on the idea that we were all in Korea at the same moment. On the day of the book launch, we were partnered with another group called the Wordsmiths, which held spoken word performances. It was truly a memorable night, because – despite the fact that it was totally nerve-wracking – I performed my published poetry, and all proceeds from sales were donated to a local animal shelter. There are numerous clubs and social activities abroad run by other expats which will allow you to meet people and make connections. Things like this make it easy to develop a friend network. What made your experience abroad a success? My experience abroad was successful simply because I maintained a positive attitude and stayed focused on personal growth throughout. You will encounter a number of difficult situations abroad, but it's important to stay open-minded to new experiences, people, cultures and perspectives. It helps to reach out to other English teachers who are in similar situations, as well as your school staff, and especially your family and friends back home for ongoing support. It's a constant reminder of your purpose abroad, the obstacles you've overcome, and a way of realizing that you have what it takes to succeed. What was the most important thing you learned about communicating in a foreign culture while you were abroad? The most important thing I learned about communicating in a foreign culture is to be open-minded and understanding. My biggest struggle abroad was the language barrier. There will be times you will feel lonely and frustrated when it comes to conversing with the locals or teaching your students and communicating with the staff at school. 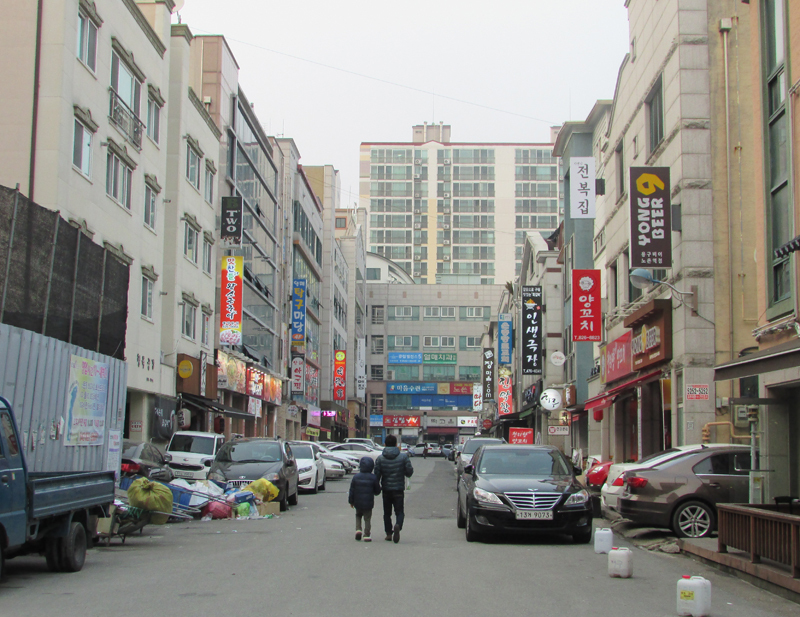 I took evening Korean classes to learn basic Korean and it made my life there a lot easier. Even though it's hard sometimes, continue to make the effort to talk and engage with others, especially your students. They may not understand you, but they can feel your passion and your love. Also, remember to use body language to communicate! And smiles are universal – they work with anyone, anywhere. My number one tip for anyone hoping to follow my footsteps is to follow your intuition. If you feel called to go abroad and teach, then just do it. It's a leap of faith, but everyone I know has returned home stronger than they’ve ever been. The experience changes you and you will also make an impact on those you touch abroad. Also: do a ton of research, talk to as many people as you can, and if the answer is still "YES", then go for it. There is no time like the present! Five years down the road, you will remember it as one the best investments you could have possibly made. Do you have advice on how to handle a cross-cultural classroom? Teaching in a cross-cultural classroom is an extremely rewarding experience. I worked with four different Korean co-teachers at my public school. It's important to communicate well with your colleagues, since they all have different expectations and teaching styles. Generally, at an elementary public school you will work with co-teachers and be expected to follow materials from the textbook. The students in class will be mixed levels and a lot of the times they won’t understand you. If you’re teaching on your own, as I did, you can always ask a higher-level student to help you translate. Also: When it comes to your classroom, use games, fun and creativity to demonstrate your enthusiasm and create positive energy. One of my most memorable experiences was my final two weeks in Korea at the end of my contract. As I reflected back on my year, I couldn’t have been any prouder of myself. I’d accomplished so much, and overcome so many challenges and obstacles. Knowing that I would only be there for a year, I did everything that I wanted to do and was present for every moment. Of course, there were a lot of difficult times, but when I taught my final classes and said my goodbye speeches, I gave it my all and I chose to end on a positive note. It wasn’t until then that I realized the impact I’d had. My students thanked me and showed huge appreciation for all that I’d done as their teacher. It’s heart-wrenching, enlightening, and bittersweet moments like these that leave a strong impression on you for years to come. I’ve been experiencing intense reverse-culture-shock and post-travel blues since I’ve been back. It will take some time to re-adapt and regain momentum, but the key is to be patient and practice gratitude. Travel changes you, but you carry the lessons learned and memories in your heart forever. My year overseas was a catalyst, cultivating my passion for teaching, writing, and social impact. I look forward to undertaking various international opportunities while building my career doing what I love. Tina’s responses showcase her mature perspective regarding building experience abroad. She clearly understands the benefits of keeping an open mind while immersing in a foreign culture – even when it’s challenging. Tina’s time abroad opened her eyes to the true impact that teachers can have on their students, and she seems to be planning to pursue teaching as a profession. We recommend that she continue to pursue international teaching opportunities, both short and long-term. By taking this path, and by teaching in different regions of the world, Tina will be able to pursue her passion, while simultaneously expanding her international toolkit and global perspective. For now, Tina can focus on overcoming re-entry shock and using the international skills she has already built in order to find a position at home. Teaching Abroad As A Licensed Teacher is a valuable collection of articles and resources for anyone considering teaching abroad long-term.